Is this not, at times, one of life’s hardest questions to answer? Naively I thought that by the time I was in my thirties I wouldn’t wrestle with it anymore. Thankfully I have come to realize that I am not alone. 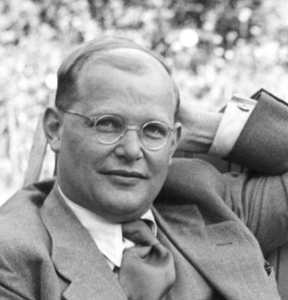 The other night I was reading Bonhoeffer: Pastor, Martyr, Prophet, Spy by Eric Metaxas. Apparently, Dietrich Bonhoeffer wrestled with the same question. In prison, at age 39, he wrote the following poem, just one month before his execution. I take great comfort in his words. What’s something that speaks to your identity? Thank you for sharing this Alan, it is encouraging. Lately, for me its been listening to Tim Keller’s sermons and believing his perspective on/formulation of the Gospel.